January 13, 2018 (West Hollywood, CA) – K9Grass takes Hollywood! The ribbon cutting ceremony for the two new dog parks at West Hollywood Park took place on Saturday January 13, 2018. Residents of West Hollywood who have dogs have long been hoping for a beautiful, safe, and clean park where they can take their dogs, and now they have two! K9Grass by ForeverLawn was installed in both of the parks, one small park that’s approximately 4,000 square feet and another larger park that’s approximately 7,000 square feet. Each park is gated and fenced-in with several features such as shade trees, mounds, and terraces. ForeverLawn Pacific Coast was in attendance at the ribbon cutting ceremony where Mayor John Heilman praised K9Grass by ForeverLawn. He couldn’t have better summed up the benefits of our artificial turf. “People have been asking me, “What about this grass? This grass is amazing!” Well it’s actually not grass. It’s a specially formulated K9Grass artificial turf. It is specially designed for dogs, it is environmentally safe for dogs and their guardians, there’s no rubber or composite infills, the blades of grass have antimicrobial protection, and they are designed to stay cool and not burn our little doggies’ paws,” says Mayor John Heilman. These two dog parks are just a fraction of the construction and redesign taking place at West Hollywood Park. The city has plans for a new aquatic recreational facility, basketball, tennis and volleyball courts, playgrounds, and so much more! Once the ribbon was cut and the gates to the park were opened, we couldn’t help but rejoice at the sight of happy dogs and children playing together on the K9Grass. 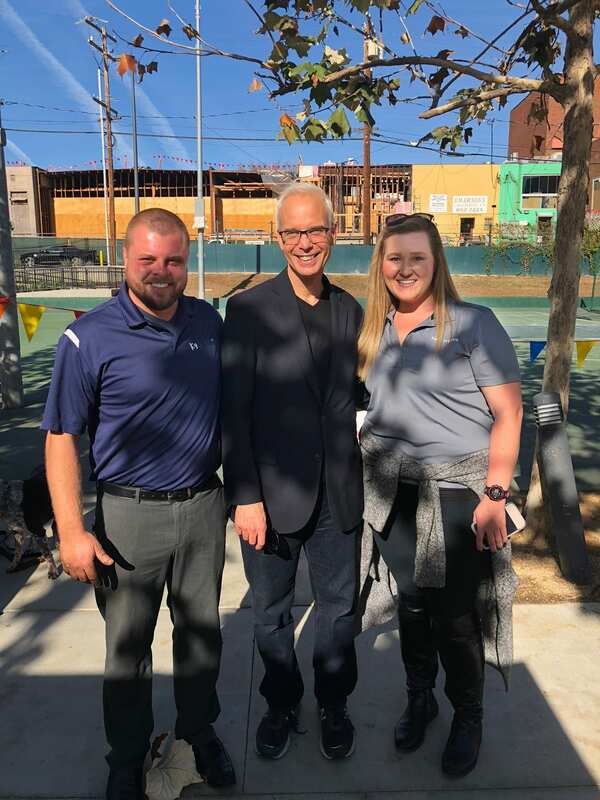 We couldn’t be happier with how the dog parks turned out and we have a feeling that they will be enjoyed for years to come by the many dog residents of West Hollywood. To learn more about how K9Grass was used for this amazing community project, watch this video from WeHoTV.